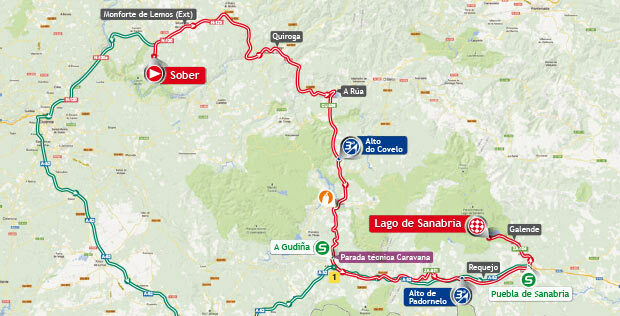 Vuelta a España 2013 Stage 5 is between Sober and Lago de Sanabria (Sanabria Lake). 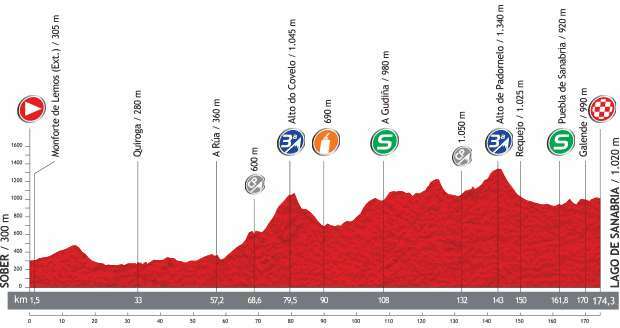 The length of the mountainous course is 174.3 km. Sober is a municipality in the Spanish province of Lugo. Lago de Sanabria (Sanabria Lake) is the biggest glacial lake in the Iberian Peninsula (the area of the surface is 368 hectares) and also one of the very few natural lakes in Spain. 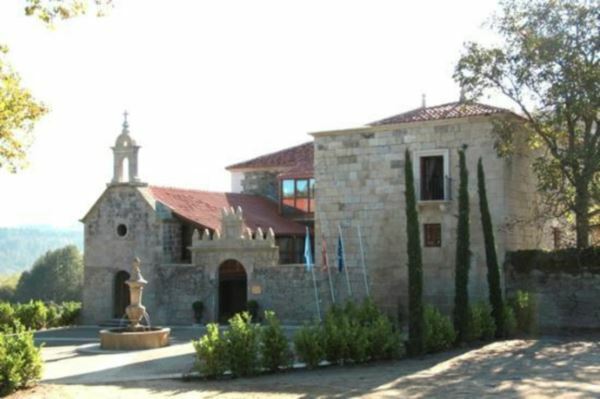 It is located 8 km to the northwest of Puebla de Sanabria in the province of Zamora, Spain.The Sanabria lake is now within the limits of the Sanabria Lake Natural Park. The area was declared a Natural Park in 1978. The lake’s shape reminds a pair of goggles on the map, and it is 3 km long and 1.5 km wide, with a 9.3 km perimeter. The whole of this area is dotted with small lagoons, decorated with birch trees, willows and rebollos. With regard to the fauna we must highlight the bird colony, with royal eagles, griffin vultures. Wolves also roam the area. The Sanabria comarca is one of the few areas in Western Europe having a sizeable population of wild wolves living in the Sierra de la Culebra mountain range.